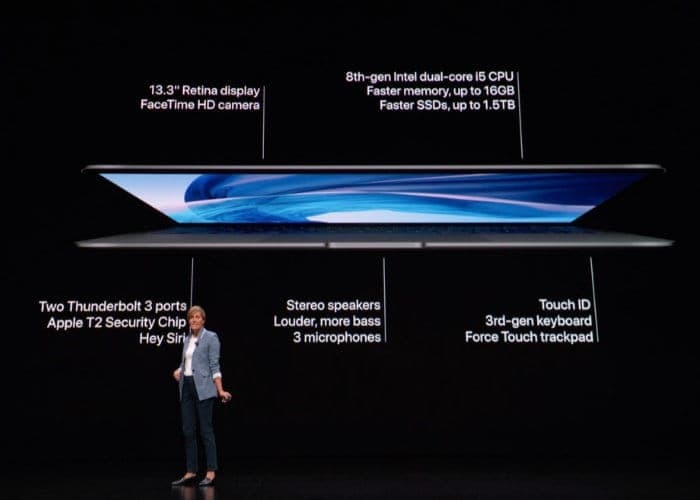 Apple has unveiled it new MacBook Air with a new design and a Retina Display, the device comes with a 13.3 inch display, the bezel on the display is around fifty percent smaller than the MacBook it replaces. It also comes with Apple’s Touch ID built in, this is built into the keyboard on the device and it comes with Apple’s T2 security chip. The new MacBook air also comes with Apple’s latest generation keyboard and it features individual LEDs behind each key. 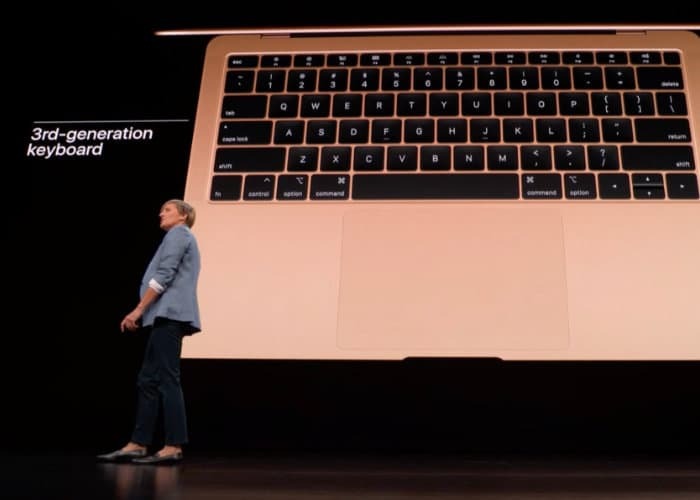 It also comes with a new Force Touch trackpad which is around 20% larger than the previous model. Apple has also updated the audio on the device and it comes with two Thunderbolt 3 ports to connect your devices. It also comes with an 8th generation Intel CPU and up to 16GB of RAM, you can also choose up to 1.5TB of SSD storage. Apple has also updated the battery and it is designed to give you up to 12 hours of web browsing and up to 13 hours of movie playback. 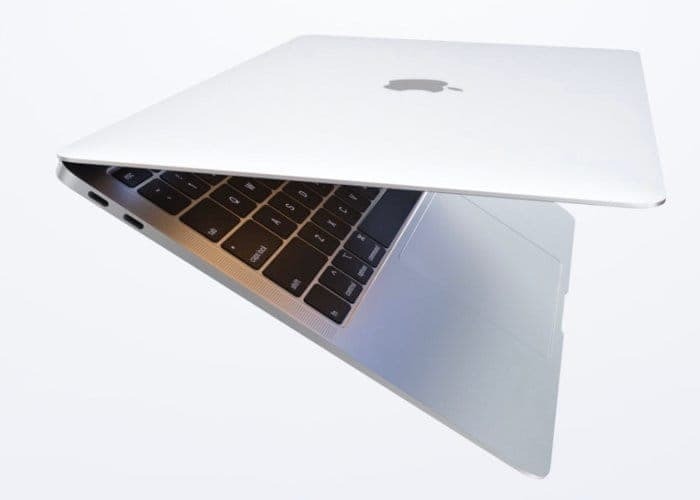 We will have the full specifications on the latest MacBook Air when they are made available. 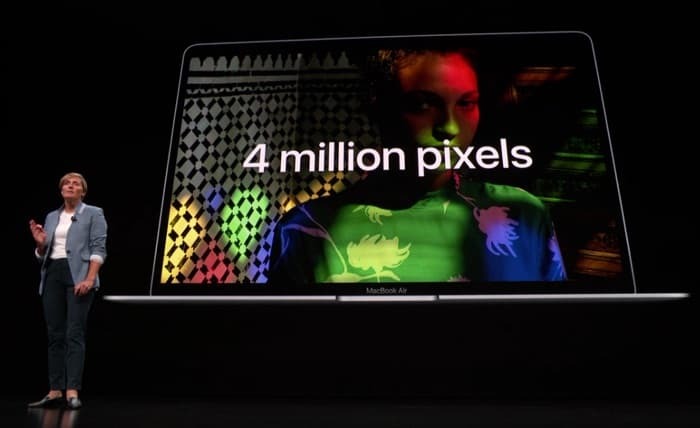 Prices for the new MacBook Air start at $1,199 and you can order it from today and it launches next week.